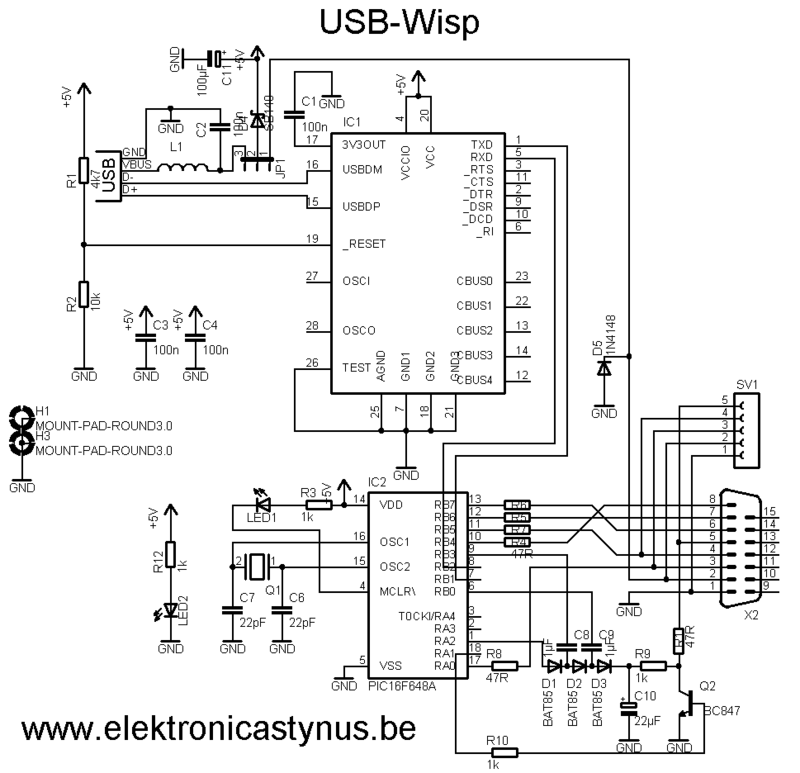 Because a usb->serial converter coupled takes a lot of space, I’ve decided to build a wisp programmer with a build in converter. I used a ft232 for this job. 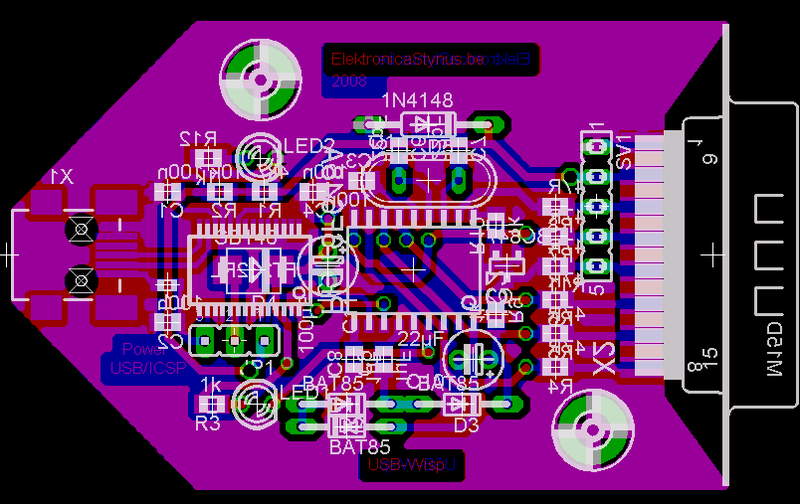 With the jumper on the pcb I can choose between “target powered” and “usb powered”.